Niki, the editor of HerWorldPlus (a women’s lifestyle network in Singapore), shares her experience getting Botulinum Toxin on and off for 10 years. We are very thankful to Niki for working with us on this treatment and also grateful that she shared her experience about the Botulinum Toxin procedure. Botulinum Toxin is well-known as the safe and effective wrinkle treatment that irons out lines in the forehead, corners of the eyes and mouth. And according to Niki, Botulinum Toxin helped to relax her furrowed brow that was caused by constant squinting. The result only took a few days after the treatment which according to her made her a ‘complete convert’. With regards to the effectiveness of Botulinum Toxin, she shared the importance of finding a reputable aesthetic doctor with the right injection skill. As most people fear the frozen look that previously plagued this treatment. 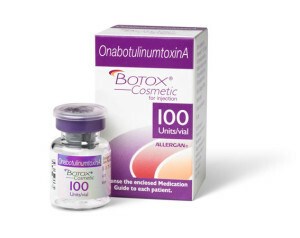 To read Niki’s full Botulinum Toxin experience, please click here. Cutis Medical Laser Clinics, an award-winning aesthetic clinic and age management clinic in Singapore, is based on the fundamentals of scientifically proven “evidence-based” aesthetic treatments. We focus on patient education and are committed to providing our patients extensive information about any proposed treatment plan.